Want To Look Like a Real BBQ Pitmaster? With these popular, easy-to-use pellet smokers, YOU CAN! Whether for tailgating, semi-pro smoking, or just at-home cooking, there are plenty of fantastic pellet smoker options on the market that consumers say are the best. Continue reading to learn which pellet smokers are recommended for all these activities and more! If you are new to smoking and grilling, check out our blog about The 3 Steps to Choosing a Smoker, where you will find some popular and highly-reviewed beginner brands for smoking meats. But if you are more familiar with smoking and grilling meats, the top-rated, affordable pellet smokers listed below are great options to consider! This grill is great for both traveling and cooking at home. It is designed with advanced digital temperature reading, so you can rest assure you’ll get great results without much effort. Homeowners also love the ash can clean-out system feature that makes clean up a breeze! The Silverbac® wood pellet grill is considered to be one of the best overall values among consumers. It renders excellent results with its heat retention and durability qualities. Designed with a heavy-duty 12-gauge steel body and 14-gauge stainless steel lid, this should come as no surprise! This grill is highly noted for its digital Wi-Fi controller that lets you to supervise and control the temperature of the smoker from anywhere in your house. Not only are they ideal for tailgating and camping, they are perfectly suited for at-home grilling too! Although it comes with a hefty price tag, buyers agree that the initial investment is worth it in the end. It comes with integral Wi-Fi technology that lets you monitor and alter the temperature from anywhere in the house. But consumers really love the 40-lb. hopper and interior LED! 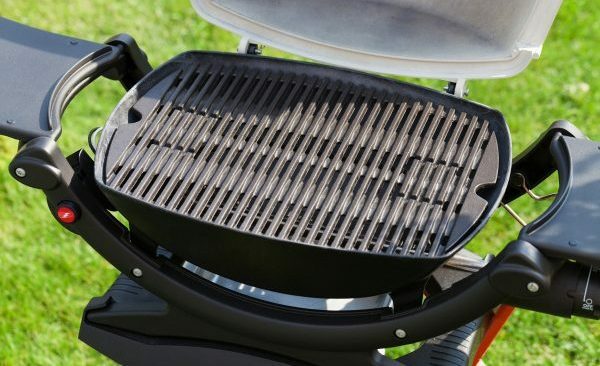 This highly versatile grill is actually great option for both beginners and experienced smokers, and especially for those who have limited space or storage. This product can do it all, from grilling and smoking, to roasting, braising, barbecuing, and even baking! ✨ All of these grills and smokers are available for purchase at Amazon.com. No Time to Grill? Come to Racks BBQ in Carmel! Visit Rackz BBQ in Carmel, Indiana for delicious smoked meat entrees, hand-crafted barbecue sauces, and homemade side items, and more! From appetizers and sandwiches, to salads, entrees, and desserts, there is much to choose from on our comprehensive BBQ menu, so be sure to try them all! Contact us during regular business hours at 317-688-7290 to ask us about our menu prices, weekly specials, and more. We accept call-ahead and takeout orders too! This entry was posted in Smoked Meats and tagged bbq carmel, bbq restuarant carmel, best pellet smokers, best smokers grills, recommended smokers, top rated smokers. Bookmark the permalink. Come Enjoy Authentic Smoked Meats at Rackz BBQ!